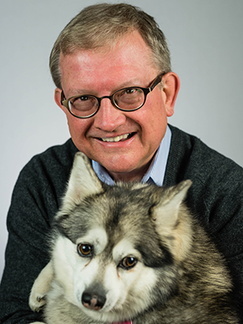 Dr. Brown coordinates introductory courses in pharmacology and toxicology for veterinary students, and lectures in several veterinary science-related graduate courses offered across the Academic Health Center. Dr. Brown remains interested in the mechanisms by which neuroimmune signaling processes influence the interactions of microorganisms with epithelial cells located at immune inductive and effector sites in mucous membranes. Members of Dr. Brown’s laboratory, many of whom were veterinary students or graduate veterinarians, discovered that drugs which affect mucosal neurotransmission increase bacterial interactions with mucosal cells, including lymphoid follicles known as Peyer’s patches in the small intestine and epithelial cells in the colon. Moreover, they found that specific neurotransmitter substances such as norepinephrine modulate immunoglobulin secretion and epithelial cytokine responses to bacteria, bacteria-associated molecular patterns and bacterial exotoxins, e.g. the toxin shock syndrome toxin from Staphylococcus. These paradigm-shifting studies may provide important insights into drug targets for the alleviation of intestinal infection, inflammation and pain as well as enhancements in oral vaccine efficacy, microbial colonization, and drug delivery. Neuroregulation of host-pathogen interactions at mucosal surfaces.